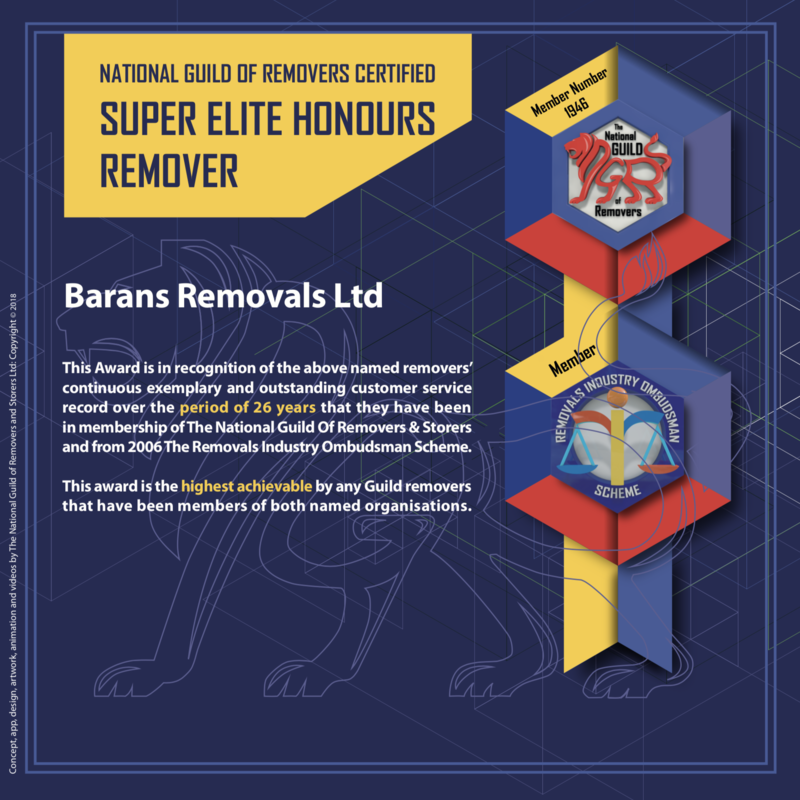 We have been awarded Super Elite Honours Remover. This is a tribute to the excellent work from all our staff since 1978. Completing the GET A QUOTE form will allow us to produce, email and post, a quote for your move.